Patients retain information more effectively when they can visualize the process. 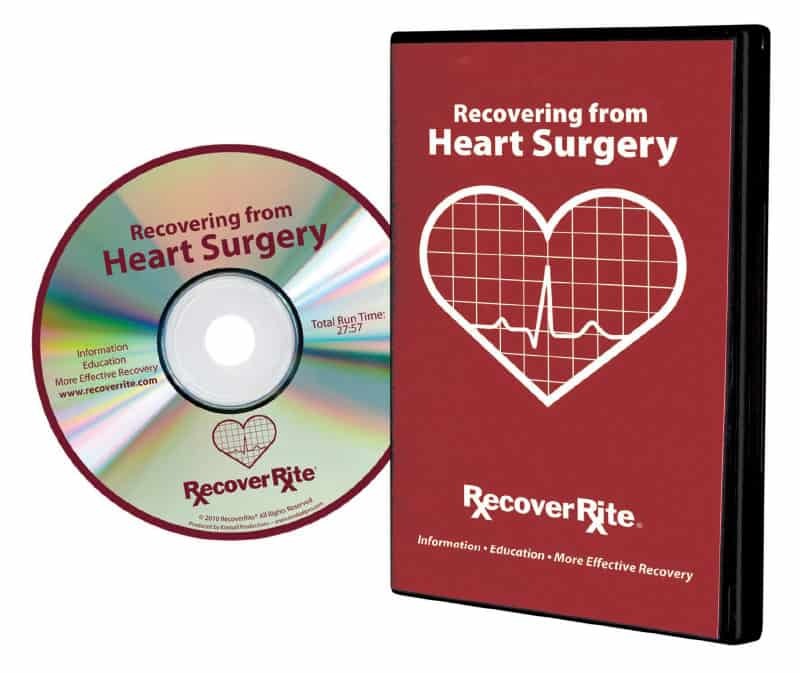 The RecoverRite® DVD is an instructional video that will take patients step-by-step through recovering from heart bypass surgery, heart valve surgery or any other major heart procedure. How to correctly do your deep breathing exercises with the incentivespirometer you were given in the hospital. Quantity pricing is available. DVD face and box can be customized with your logo. Licensing is available for upload to your in-hospital patient network.